GEOMETRIC FARISLE #067. 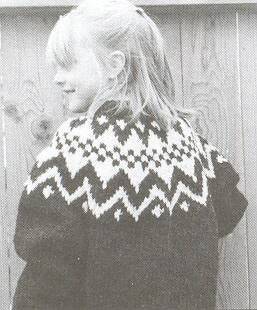 Child's sizes 2-8 knitting pattern : chest size 22-24-25 1/2 inches. Uses chunky weight yarn. 3 1/2 sts/inch.